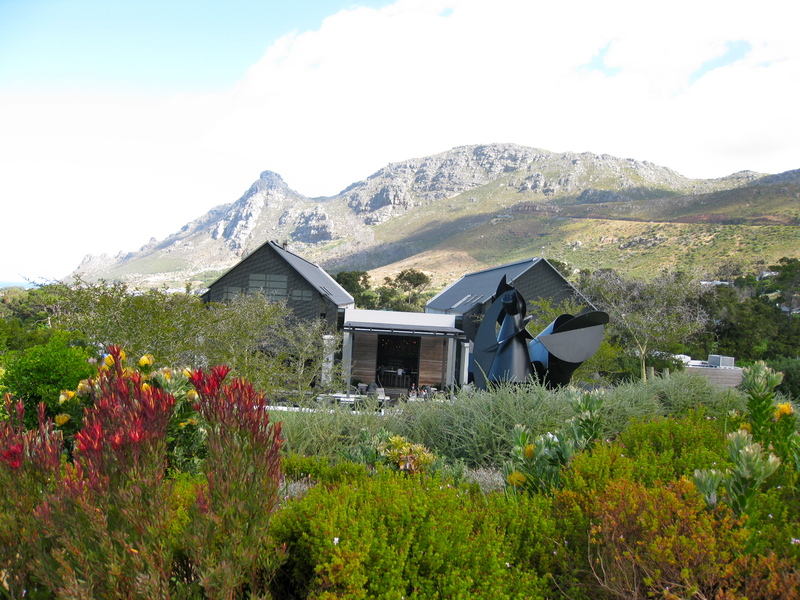 Day 4 Started with a little “lie in” and then we went off to the Constania Valley for a day of wine tasting. 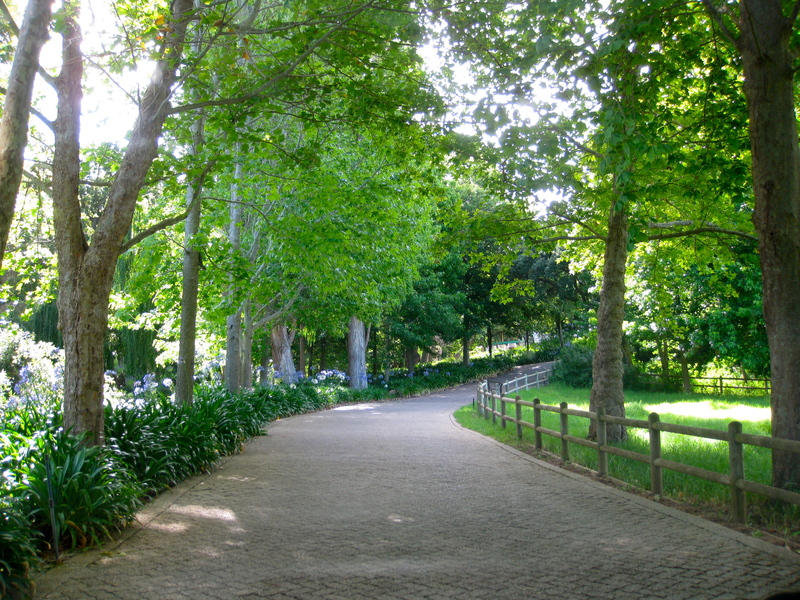 Constantia Valley is one of the Cape Town Big 6 places to visit. We left Pinelands and took the M3 but missed a turn off and almost ended up in Muizenburg. There are so many signs to Muizenburg but we never actually ended ever going to Muizenburg. We found our way onto the wine route via Steenburg Rd and the first farm we stopped at was Constania Uitsig, the wine shop and tasting venue was great. The staff were friendly and the lady behind the counter was full of quirkiness. We tasted thier range while she was having her first glass of wine for the day at 11am. We bought two bottles of wine and went on our way. Tip for travellers to the Cape wine routes: Take a bottle of water and to drink while in the car as you don’t want to spit. After Uitsig we raced along the route to get to Groot Constantia for the Cellar Tour and tasting. Groot Constantia is the oldest established wine estate in South Africa and was started by Simon van der Stel who was governor of the Cape. 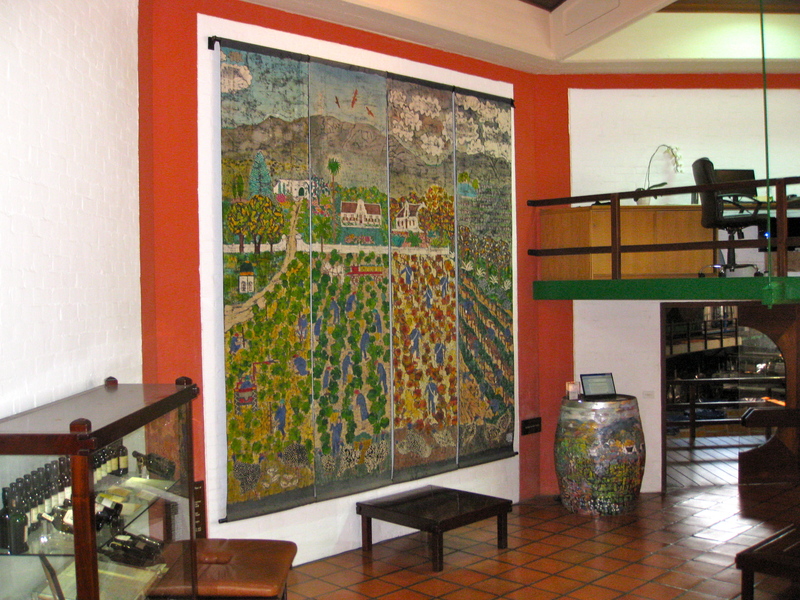 The Name Constantia is thought to be named after Commissioner Rijckloff van Goens’s daughter in recognition of his help and support in obtaining the farm land. 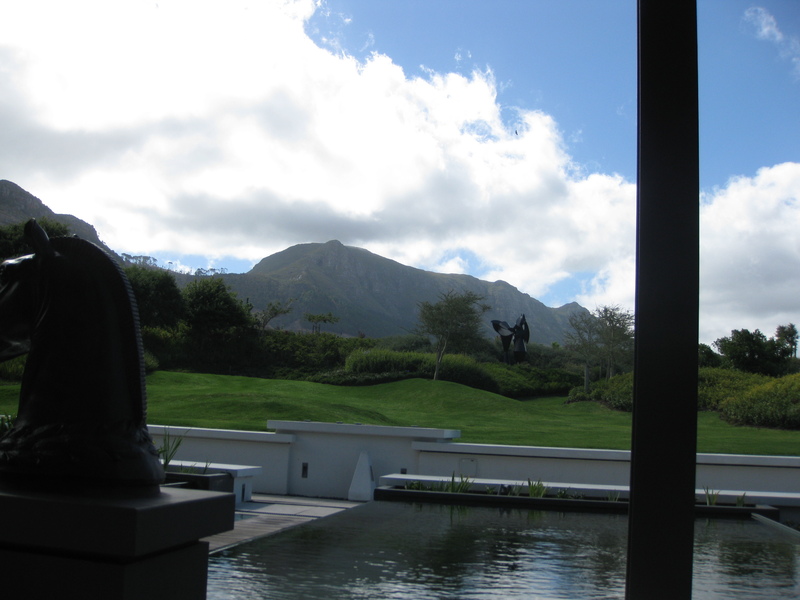 Another theory is that the farm was named after the VOC ship “Constantia” which, was anchored in Table Bay. 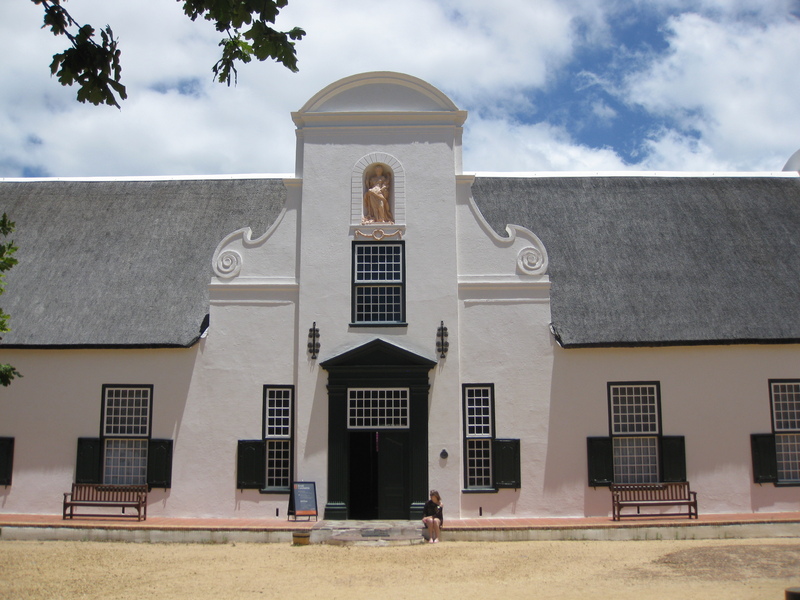 1778 Jan Serrurier buys Groot Constantia and in the same year sells the farm to Hendrik Cloete. 1789 Outbreak of the French Revolution, which lasts until Napoleon seizes power in 1799. 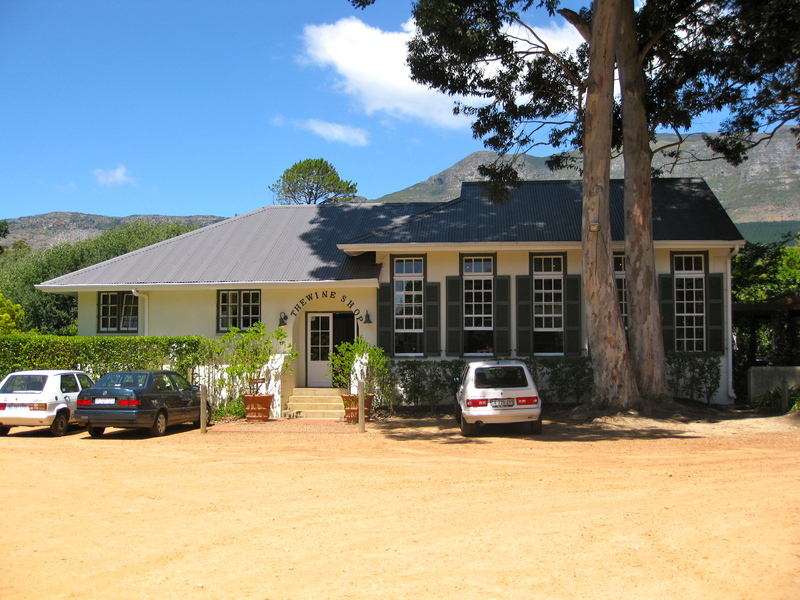 1792 Henrik Cloete’s restoration of the farm is complete. 1795 The First British Occupation of the Cape. 1795 The German poet Friederich Gottlieb Klopstock composes Der Kapwein und der Johannesberger, Kapwein being Constantia wine. 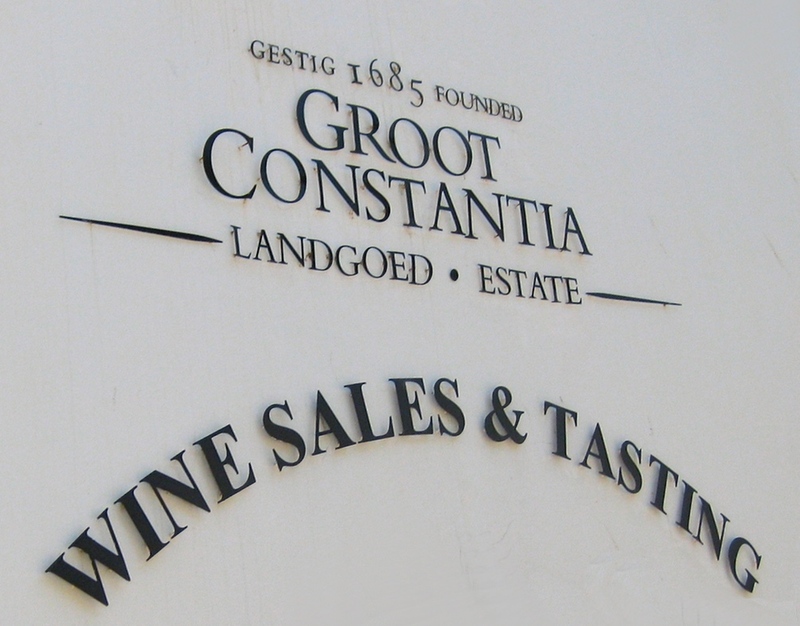 1799 Hendrik Cloete (junior) becomes the new owner of Groot Constantia. 1803 The Cape comes under Batavian rule. 1806 The Second British Occupation of the Cape. 1811 Sense and Sensibility, a novel by Jane Austen in which Constantia wine is mentioned, is published. 1815 Napoleon is banished to St Helena after his defeat of Waterloo. 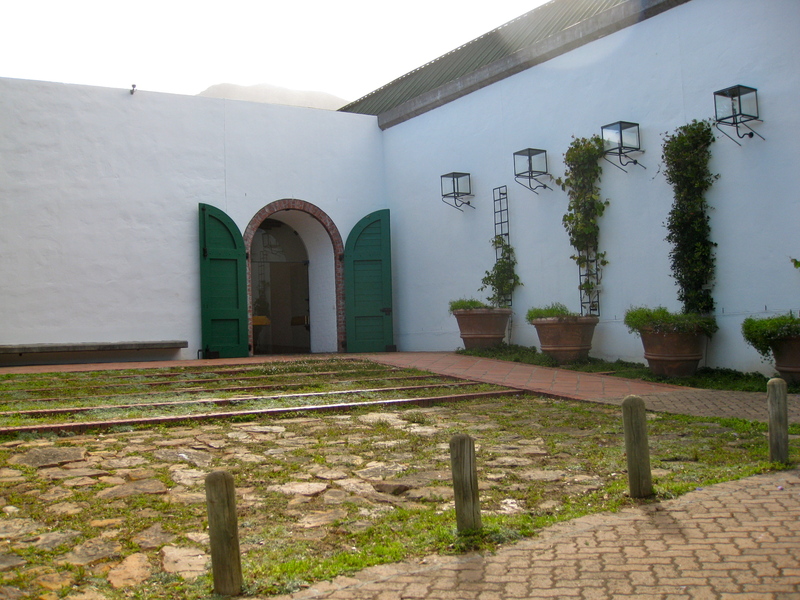 On St Helena he was supplied with wine from Groot Constantia until his death in 1821. 1818 The wife of the late Hendrik Cloete, Anna Catharina Scheller, becomes the second woman to own the estate. 1824 Scheller sells the estate to her oldest son, Jacob Pieter Cloete. 1833 King Louis Philippe of France becomes the biggest buyer ever of Groot Constantia wine. 1834 Slavery is abolished, but slaves are apprenticed to their owners for a four-year period, i.e. Up to 1838. 1855 Sliver medals are awarded to Groot Constantia wine at the Paris Exhibition. 1857 Les Fleurs du mal is published, a volume of poems by the French poet Charles Baudelaire, in which Sed non satiata praises Constantia wine. 1859 The fungal disease oidium tuckeri, also known as mildew or powdery mildew, is discovered in the Cape vineyards. In December it is also found in the Groot Constantia vineyards. 1860 A 10-year free trade agreement is concluded between Britain and France, under which French wines benefit greatly, to the disadvantage of Cape wine exports, including that of Groot Constantia. 1866 The vine disease phylloxera, caused by an insect called peritymbia vitifolii, ravages the vineyards of the Cape, including those of Groot Constantia. 1867 Silver medals are awarded to Groot Constantia wine at the Paris Exhibition. 1872 Jacob Pieter Cloete is declared insolvent in the Cape Supreme Court. 1874 Two medals are awarded to Groot Constantia wine in Vienna. 1875 Jacob Pieter Cloete’s oldest son Henry, and his two sons, become responsible for the running of the farm. 1876 Two medals are awarded to Groot Constantia wine in Philadelphia. 1878 A gold medal is awarded to Groot Constantia wine in Paris. 1881 Six awards are won by Groot Constantia wine in Melbourne. 1885 Groot Constantia is bought at an auction for the Cape Government by the Master of the Cape Supreme Court. The Tour and tasting were informative and nicely put together although I did not find the wine that great and we did not purchase any wine. Groot Contantia is one of the big 6’s but is very commercialized. We then went to the Constantia Valley Mall for a quick bite to eat before going off to Steenburg Wine Estate to meet friends for tasting for Kayley’s birthday. We arrived at the wrong entrance to the estate but the security guards were very helpful. We drove the way they told us and wondered why there was so much security around the estate with electric fencing and security camera’s every 100m. On the drive to the correct gate we realized why as we drove past pollsmoor prison. Steenburg is a very modern estate with a beautiful tasting venue, the atmosphere was great although again the wine was not that great. We left Steenburg with very little time left in the business day but wanted to do at least one more wine estate and so made our way to Klein Constantia which was the best estate of the day and we bought a Vin De Constance. This wine was the famous sweet wine of Constantia that became world renown during the times of the Cloete era , and in 1980 was brought back by Klein Constantia. Read more about it here. The estate is beautiful and the tasting venue very homey. To get back to Pinelend we took the back roads through Wynburg and got stuck in major traffic, should have got back onto the M3. Was a great day although to be honest the wine of the Constantia Valley, which is mostly white, is not really my type of wine. Hi Courtney, being a South African may make me biased but the Cape Winelands are amazing. There are numerous wine routes and over 400 estates that you can visit. Take a look at wwww.savines.co.za, this is a website I have put together in my spare time. It is in no way a complete guide to wine in South Africa but does have links to each Wine Routes website where you would be able to get more info such as accommodation etc. Stay tuned to my blog as we went wine tasting on a number of days and more tips and stories are to follow.